South Rochdale Playground is located near the corner of 173rd Street and 137th Avenue. The facility serves the local South Jamaica and Rochdale community as well as the adjacent P.S. 80 (Thurgood Marshall Magnet School). In December 1960, Parks and the Board of Education reached an agreement providing for the joint operation of the playground. Parks is responsible for maintaining the playground’s facilities. Approximately three years after the completion of Rochdale Village, the playground opened on January 26, 1966. 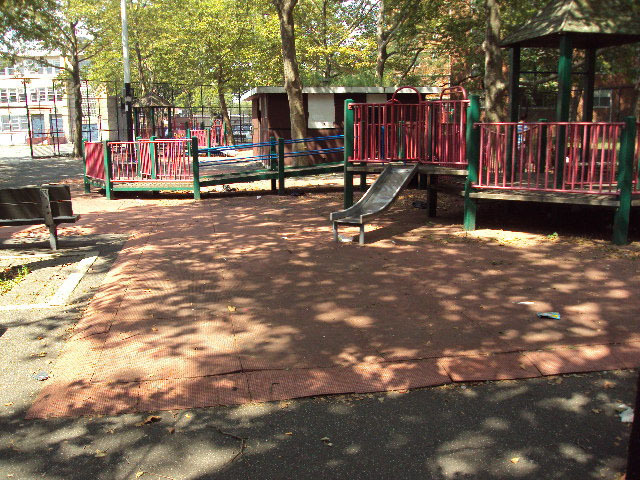 During November 1995, the playground received a $656,000 renovation sponsored by Council Member Thomas White, Jr. The Park now features 1 full basketball court, handball courts, and swings.